With any great pair of best friends comes a decent amount of struggle, and this week on “Brooklyn Nine-Nine” we saw Jake and Boyle get in their very first fight during an eight day stakeout. Things at the precinct were equally tense, as Terry’s children’s book forced Amy and Gina to deal with their character flaws and Rosa found romance somewhere very unexpected. Halloween at the 99th precinct can only mean one thing: ridiculous costumes and absurd bets with minimal actual crime fighting. 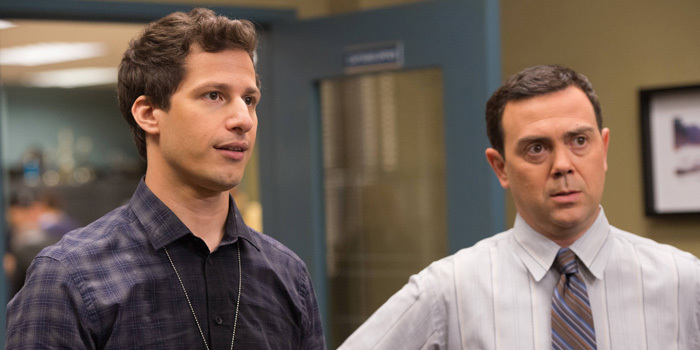 On this week’s episode of “Brooklyn Nine-Nine,” Jake and Captain Holt recreate their bet from last year’s Halloween, but with a lot of new twists, and Gina struggles to balance her dance group “Floorgasms” rehearsals with her new secret time commitment (no, it’s not Boyle).